Tim Jellicoe Turf supply high quality Topsoil in to Devon on a daily basis using a selection of delivery vehicles. We can deliver on small tipping vehicles that can reverse up your drive to offload or we have a lorry with a crane and can deliver dumpy bags of topsoil, lifted over fences, walls and hedges. 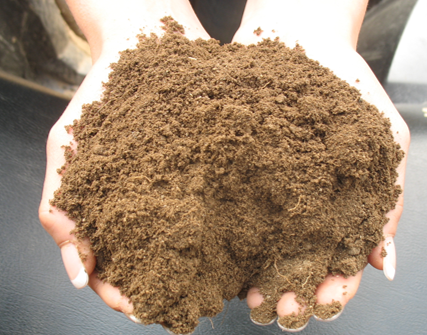 Our Topsoil is finely screened/sieved and blended with compost to increase the nutrient content. The blended Topsoil is then stored undercover all year round to ensure a consistent supply of dry workable soil. 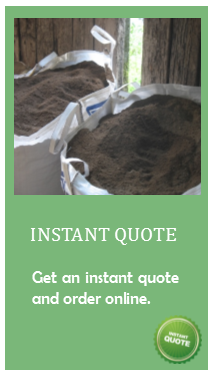 Every bulk bag of topsoil that we deliver in Kingsbridge is bagged to order on the day of delivery to ensure that they don't gather moisture in the bottom 1/3 of the bag. The dumpy bags are full size 90x90x90 bags and they are filled to the top. In peak season, our lorry is in Devon every day so we can often add bags at short notice. We cover all areas such as Churchstow, Charleton, Chillington, Stokenham, Frogmore, East Prawle, East Portlemouth, Slapton, Kingswear, Salcombe, Thurlestone, Malborough, Bigbury-on-Sea and Loddiswel. Buy top quality seeded lawn turf online in Devon and Cornwall.